Evil invaded the church Sunday. It was the deadliest mass shooting in Texas history and American church history. A madman opened fire, killing 26 and wounding 20 in a small church in Texas. If you only are getting your news from social media or the liberal biased media for updates, you wouldn’t have seen some critical facts and events you should know about regarding this horrific slaughter of innocent men, women and children. The Invasion of Evil: An emotionally upset 26-year-old man systematically killed the assistant pastor, worship leader, a pregnant woman, children, men and women. It was demonic as he walked through the small church, shooting the wounded and those trying to hide. The Christians were killed right after worship and prayer, with no time or place to escape. A Believer in Christ Shot the Madman and Prevented More Bloodshed: Called the “Good Samaritan,” neighbor Stephen Willeford, without thought for his own safety, confronted the killer and shot him twice, forcing him to flee the scene. The Killer Was an Avowed Atheist: It was posted on his Facebook page and confirmed by friends, Devin Kelley was a vocal atheist. He had no moral compass but moral relativism. He had no fear of God, so death had no eternal consequences. He did not regard the dignity of human life. A Christian worldview sees every human as precious and of eternal value. As a Christian, murder is not just a crime, but an assault on the dignity of a sacred creation of God … an assault on one made in the image of God. Some atheists may condemn what Kelley did, but they have no objective truth to guide a moral judgement. The Liberal Media and Politicians Immediately Called for Gun Control: Kelley spent 1 year in prison and kicked out of the military with a bad conduct discharge for domestic abuse against his wife and child. The Air Force failed to follow policy and alert federal law enforcement about his violent past. By law, he should never have been able to buy a gun. He was able to do so because proper authorities were never notified. If they had been, he would have been blocked from buying a gun during a routine FBI background check. The Air Force, like other government bureaucracies, are bloated and inefficient. Gun control failed in this case. What good are laws and policies if they are not followed? More gun control will not prevent the innocent in churches or elsewhere from killers like Kelley. In this case, we all wish someone in the church could have stopped him. And thank God, someone on the outside did help save others. Incidentally, I hope the medical records come out to show whether Kelley was on multiple prescription medications … something the military has prescribed to hundreds of thousands of soldiers. Around the world, the media, including TV, was showing video of last week’s church service, interviewing Christians and showing people of faith praying and worshipping God. Wow! 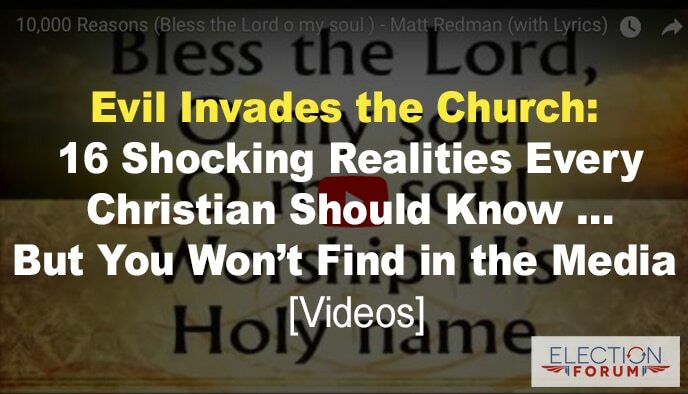 The fact is, the media didn’t understand what it was doing when it was showing last week’s church service to millions of people — that people who knew of this church were on the air proclaiming Jesus Christ’s death and resurrection on the cross. The gospel went forth in a powerful way in the midst of tragedy. TV, Social Media and Liberal Politicians Mocked Prayer and Christians: Immediately, Facebook, Twitter and TV were filled with mocking of Christians – especially in regard to prayer. If prayer worked, wouldn’t the churchgoers be alive today? Prayers didn’t do any good to the victims. We need more gun control not prayer. We understand the power of prayer. We understand it’s not that prayer has power in and of itself. We understand prayer’s purpose isn’t commanding personal results. As Christians we recognize prayer is an act of obedience to God and His will for us to communicate with the true and living God. Prayer is not controlling God according to us, it’s based on a personal relationship with Jesus Christ. He is the victor over evil and He is the comforter of the hurting. The reality is, it’s not gun control that is going to stop this type of violence. It’s revival – revival for God in the hearts of men and women across America. The Little Unknown Church Is Spreading the Good News Like It Never Dreamed Of: So very powerful here are the days of prayer, preaching and powerful worship in the community vigil – all Christ-centered. One of the unique twists to this horrific incident was that CNN and other media outlets kept talking about the fact the church put its prayer services on YouTube. And they kept referring to the services, sometimes showing portions of the services. When I first saw the video of last week’s church service, only 200 people had viewed it. Now, more than 700,000 have seen it. You can watch it below. We as the people who follow Christ must be in prayer for our brothers and sisters who are hurting, for the families that have been ripped apart, and for our nation – for all those who are impacted by this tragic event. In regard to the service the week before, it was like a prophetic word by the pastor preparing his people for slaughter, including his own daughter. He talked about Proverbs 3:5: “Trust in the Lord, don’t lean on your own understanding,” if it doesn’t make sense. “God’s got it figured out, whether we do or not,” said the pastor. You will be stunned if you watch the service above, as the pastor says trust in the circumstances and forces you can’t see. Work with it rather than against it. Look beyond your focus and what’s ahead of the curve. They sang Matt Redman’s “10,000 Reasons,” about loving God until it’s time to come home to the Lord. God Was Glorified in Very Unusual Ways: During the briefings, the community, the media – and the world – heard very unusual testimony to God’s sovereignty. Texas Gov. Greg Abbott prayed, yes, prayed in public. And during an official news briefing with the Sheriff’s, FBI and other government people the world witnessed the gospel. The Sheriff at the end did the improbable. He called for a pastor to close in prayer. The pastor delivered the message of the Cross, hope and love in word and prayer. This Is a Wake-Up Call to the Church and Christians: Churches are vulnerable and need to step up security. They need to have security plans in place at each church with armed and trained members there to protect the innocent. “When a strong man, fully armed, guards his own palace, his goods are safe” (Luke 11:21). “Rescue the weak and the needy; deliver them from the hand of the wicked” (Psalm 82:4). Church Shootings Do Happen: Churches are under attack. Shootings at churches have become so common that authorities have created a National Church Shooting Database. It documents 139 shootings at churches between 1980 and 2005, killing 185 people, including thirty-six children. Since 2005, there have been numerous other church shootings, including the 2015 massacre of nine at a church in Charleston, South Carolina. The year 2015 saw 248 violent incidents on religious property. Mentally deranged or drugged individuals. Those with a grudge against the pastor, a member or …? Churches are at greater risk for harm than ever before. Meeting times are posted and anyone is welcome. Most church buildings have multiple points of access. Few churches have security personnel or policies in place. Some congregations resist employing security guards, worrying that they will frighten children and distract from worship. But the church duty is to protect everyone. Across the world, persecution of Christians is happening, including the Middle East and Egypt, India, Nigeria. One Christian is killed every 30 minutes. “All who desire to live a godly life in Christ Jesus will be persecuted” (2 Timothy 3:12). Christians are persecuted the world over, yet when it happens here at home, it shocks us into reality. Why are peaceful and loving Christians under attack, when other world religions are not persecuted as violently? The answer is simpler than you may think. It is because Jesus Christ is the Way, the Truth and the Life, and there is no other way to salvation and heaven but through Him. And Satan knows it. He also knows his time is coming to an end. It’s time the world knew it, too. 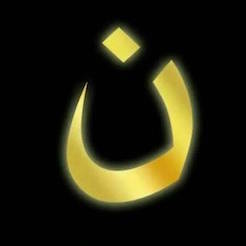 Yes, as Christians we face persecution, but we are not to lose heart in the face of this adversity. “Blessed are those who are persecuted for righteousness’ sake, for theirs is the kingdom of heaven” (Matthew 5:10). “Love your enemies and pray for those who persecute you” (Matthew 5:44). “Love your enemies, do good to those who hate you, bless those who curse you, pray for those who abuse you” (Luke 6:27–28). Finally, with these three powerful videos that speak insightfully to this tragedy. Pastor Robert Jeffress talks about trusting God in the darkness. Texas Gov. Greg Abbott gives an emotional plea for God’s comfort and guidance in the wake of the church shooting. The Lord chose the one who is ready for the persecution for the sake of His glory, just like the first martyr, Stephen, in the Book of Acts. We don’t hear any complains or bitterness from those who were persecuted or from their relatives. I could only say, how glorious and worthy to be persecuted for our Lord Jesus Christ, because the glory and reward in the heaven is big. Through, we could see it already. May our Lord prepare every of His church and our hearts for this day. Through faith, we could see it already. Thanks for sharing information and encouragement. We are to be alert, wearing the Armor of God. We are to pray all kinds of prayers in the Spirit. God bless them for glorifying God! For what they have endured, I pray much comfort to their hearts and minds.